Killer Psychopaths, Tattoo Disasters, Botched Up Bodies, Britain’s Horror Homes. Anyone glancing at Channel 5’s schedules would think that the people running the broadcaster are obsessed with doom and disaster. There has certainly been doom in the boardroom of Channel 5’s US parent company, Viacom, which is in the throes of a war between the family of Sumner Redstone, the elderly controlling shareholder, and Philippe Dauman, the chief executive. But David Lynn, the Irishman who runs Viacom’s international content operations from its Camden base, exudes unflappable calm, as befits a former accountant with a degree in electrical engineering. Lynn comes across as a "Steady Eddie" after 19 years at Viacom, starting with management roles at Comedy Central and Nickelodeon, but there’s no doubting his commitment to TV. He wants to talk because Channel 5 is about to publish its first annual accounts since Viacom acquired the broadcaster from Richard Desmond’s Northern & Shell for £463m in 2014. The headline numbers (Viacom declined to reveal the full accounts) show that Channel 5 has moved from a loss back into the black with a pre-tax profit of £39.5m and turnover of £322.7m in the 12 months to September 2015. Lynn has seen "continued strong momentum" in the current year. "I’m confident we’ll see two consecutive years of profit and revenue growth," he says. "Channel 5 is thriving under Viacom’s ownership." He points to how Viacom’s increased investment in Channel 5’s programming, up more than 10% last year, has translated into a "strong ratings performance". Viewing share is slightly up at 6%, with decline on the main channel offset by growth on 5Star and 5USA. Among 16- to 34-year-olds, viewing was up 5% last year. Although critics say Channel 5 is still too reliant on Big Brother and it rarely wins Baftas, they concede that programming boss Ben Frow has cut back on other trashy shows. Revenues have improved after Channel 5 outsourced ad sales to Sky, which Lynn describes as the UK’s "biggest TV sales house by commercial impacts" (volume of ad spots). However, Channel 5 is still recovering from a year-long trading boycott by Omnicom that began when Northern & Shell was completing the sale to Viacom. Channel 5 was estimated to have lost close to £50m in revenue. Not all Omnicom clients have returned. Channel 5’s revenues are still below the £360m reported in 2013, the year before the dust-up, and rivals such as ITV have had two years of strong growth since then. included carriage deals for its pay-TV channels. Viacom already used Sky for ad sales for its other channels and Lynn points out that Channel 5 and its on-demand service My5 can make use of Sky’s ad-targeting services. "It puts Channel 5 in a much stronger position not having the disputes [with agencies] that it’s experienced in the past," he says, noting that Viacom is Sky’s "biggest partner" on ad sales. A senior figure at another broadcaster is less convinced, claiming: "Giving over their ad sales to Sky has really limited their upside because they haven’t got sovereignty over their sales." 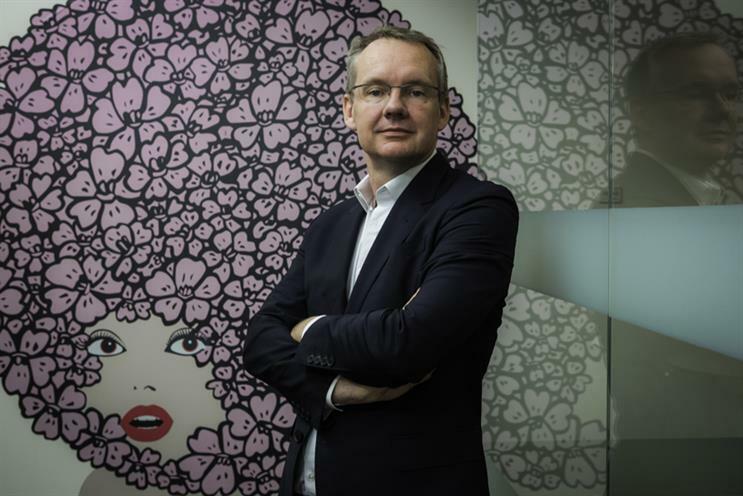 One media agency chief believes Channel 5 and Viacom lack depth in sales beyond Mark Swift, the commercial director. Lynn counters that Viacom has "deep partnerships" with advertisers via Sky and agencies on everything from sponsorship and social media to live events and awards: "We have so many assets that are of interest to advertisers." For example, Geordie Shore has 40 million followers across social media. TV has enjoyed a renaissance in the UK because "TV is still the best environment to build brands", Lynn says. "A lot of the share that online has taken is coming from other media, not from TV. Even in online, there is a move to video, so we are well-placed." inventory in digital video", while My5 has seen its video views jump by a quarter in the past year. Lynn still has plenty to do on the integration of Channel 5. Some staff are said to be less than enthusiastic about moving from their Blackfriars office to Camden in the autumn and worry that their free-to-air culture will be lost in the pay-TV world of Via-com. Lynn points out that MTV and Nickelodeon have different cultures yet coexist happily. Channel 5 and Viacom have already shared more than 350 hours of programming. Part of the rationale for the acquisition is that Channel 5 Productions can develop shows that can be exported to other markets, says Lynn, whose responsibilities range from eastern Europe to Australia. UK originations are up 30%. Viacom, which has 1,000 UK staff and £600m turnover, has still been slow to get its brands working together. It was only at the start of this year that Via-com consolidated its UK media buying for the first time with one agency, PHD. It was a rapprochement after MTV dumped the Omnicom agency previously during the trading stand-off. Channel 5 under Northern & Shell was known for pushing boundaries on trading and moved heavily into the controversial area of programme finance – getting agency groups such as Group M Entertainment and brands to fund shows in return for advertising airtime. Some say agencies have too much power and Desmond himself claimed he didn’t have the "ten-stone testicles" to challenge Group M.
But Lynn insists programme finance is "a positive innovation", adding: "It’s in our interest to have a show that rates strongly and it’s in GME’s interest to have a show that has more back-end potential and saleability in other markets." None of it will change the world, but then Lynn isn’t promising revolution.